From the National Weather Service, we have received the following information. Please see the attached maps for specific area information regarding wind speeds and snowfall accumulation amounts. A storm system producing areas of rain, higher elevations snow and strong gusty winds/blowing dust will move across northern Arizona on Thursday and Friday. Snow levels will dip as low as the 5500 foot level on Friday with accumulating snow anticipated for many mountain locations. 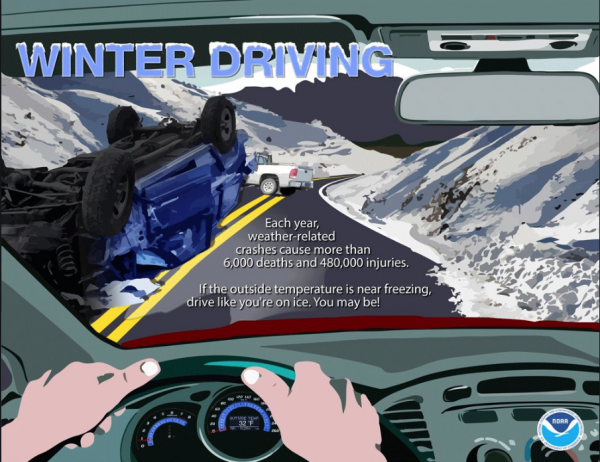 Winter driving conditions will be an issue with areas of blowing snow, low visibility and slick road conditions.